3D technology has come into our life, more and more people high on playing 3D movies on 3D TV. But when watch 3D movies on TV, we will be in trouble. 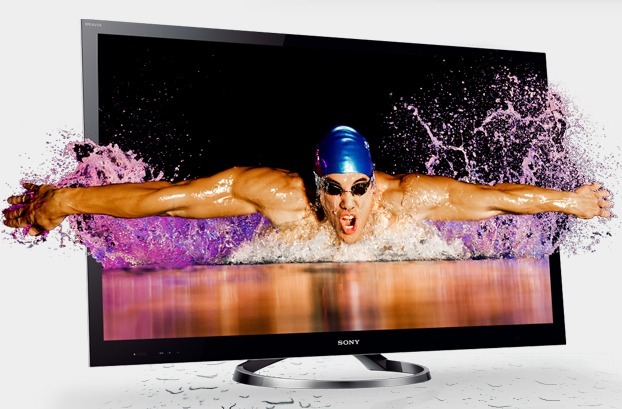 The 3D TV Can’t synchronize Audio and Video, and we can’t enjoy full 1080p HD 3D movies on 3D TV/Smart TV/LED TV/LCD TV. How to watch 3D movies on 3D TV? Are you troubled by can’t get 3D resources? Self-help is better than help from others! How wonderful it will be if we can make 3D movies by ourselves. So, I have a solution. Convert 2D movies to 3D for 3D TV. Let you play 3D movies on 3D TV/Smart TV via USB or SD-card. How to convert 2D movies to 3D for 3D TV/Smart TV? Step 1: Free download 2D to 3D Converter. After running, load 2D movies into this 3D TV Video Converter. 2D to 3D Converter for Mac is for Mac users. 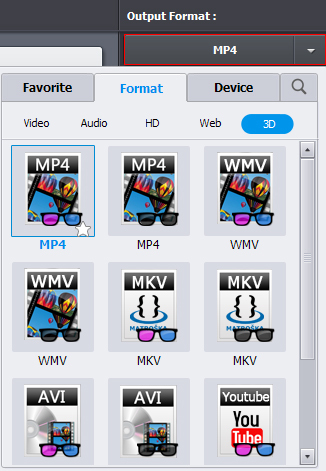 Click “Output Format” bar choose “Format > 3D > MP4”. This profile can help you watch 1080p 3D movies on 3D TV. Click “Convert” button to start 2D to 3D conversion. Trial software conversion speed is slow, and a watermark will be displayed on the output video files. If you want to speed up the conversion speed, the Paid Version 2D to 3D Converter can give you 30X speed. Save your precious time. After conversion, click “Open Folder” to get the converted 2D movies. Transfer the 3D movies to USB. You can read the USB content by TV control. Find the 3D movies. Click it. That’s all. Now, you can watch 3D movies on 3D TV.